Taxes are due! Use these tips and tricks to ensure your business gets a maximum refund with minimal hassle. For everyone rushing to finish their tax returns this week, Greater Phoenix Chamber of Commerce members REDW and Pinnacle Business Solutions offer the following tips to be sure you get a maximum refund with minimum hassle this year. Sandy Abalos, principal in the Phoenix Office of REDW, likens navigating the income tax system to Dorothy’s journey to Oz: Be wary of the lions and tigers and bears, (oh my!) Here are a few tips to keep you safe on the yellow brick road. Some due dates have moved to earlier in the year. Late filing penalties can be substantial and are not easily abated, although the IRS will generally provide a taxpayer with a one-time “get out of jail free card” and grant a penalty waiver. 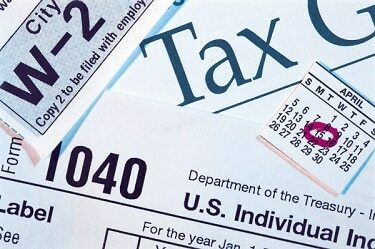 • Partnership calendar year-end tax returns were due March 15, moved up from April 15. • C-Corporation calendar year-end tax returns are due April 15, moved back from March 15. • FinCEN Form 114 related to Foreign Bank Reporting is due April 15, moved up from June 15. • Forms 1099-MISC were due 31,moved up from Feb. 28. • Qualified Charitable Organization or School: Arizona offers a variety of tax credits allowing residents to direct tax dollars to a qualified charitable organization or school. The donation also qualifies for a charitable contribution on a federal income tax return in the year paid. The maximum 2016 credit for a single individual is $2,387 and married joint is $4,773. Visit gov for more information. • Research & Development: While this was once only a big business opportunity, recent changes under the PATH Act extended the federal credit to small and startup business. Startup companies investing in new technologies often do not pay income taxes. Now they can use the credit against the employer’s payroll tax (up to $250,000) which is an important added benefit. In addition, Arizona has Research & Development tax credits that may be refundable. The IRS will never initiate contact with a taxpayer via email about a bill or refund. Do not click on any email link claiming to be from the IRS. The IRS will not call and threaten or text you. Be extremely cautious about sending sensitive information via email, always use an encrypted portal. IRS.gov is a great resource for information. Paul Beckert, president of Pinnacle Business Solutions, provides the following insight on changes business owners need to be aware of resulting from the Protecting Americans from Tax Hikes Act of 2015 (PATH Act). PATH extends many of the more than 50 tax provisions that expired at the end of 2014 for at least two years; 20 key tax provisions were extended permanently. The PATH Act also modified and expanded several important tax provisions including expanding the assets qualifying for the Section 179 depreciation deduction and the 50% Section 168(k) bonus depreciation deduction. • A 50% depreciation deduction was allowed for qualifying property acquired and placed in service after Dec, 31, 2014 and before 2018. In addition, the $8,000 increase in first year depreciation limit for qualifying vehicles subject to the 280F passenger auto depreciation limitations (6,000 lbs or less). • Substitution of “Qualified Improvement Property” (“QIP”) for “Qualified Leasehold Improvement Property” as property qualifying for the Section 168(k) depreciation deduction, for property placed in service after 2015. This could mean items including new HVAC systems, electrical or plumbing systems, lighting fixtures, ceilings, floors, stairs and non-load bearing walls will qualify. • New property purchased for personal use and later converted to business use by the same owner is still new property and may qualify for Section 168 (k) property. • Enhanced Section 179: Expensing allowances which allowed businesses to expense $500,000 for investment in qualified property, with a phase out starting at $2 million. Enhanced to include “Qualified Real Property” such as Qualified Leasehold Improvement Property, Qualified Restaurant Property, Qualified Retail Improvement Property. The deduction is limited to the aggregate taxable income, any amount that cannot be deducted as a Section 179 expense because of the income limitation can be carried forward until it can be deducted. • Research and experimentation credit equal to 20% of R&D expenses over the base period amount. For tax years beginning after 2015, a qualified small business (Gross Receipts < $5 million) may elect to claim a certain amount of its R&D credits as a payroll tax credit against its employer OASDI (Old-Age Survivor and Disability Insurance i.e. social security) rather than its income tax liability.